Rebuilt tonercartridge 3.000 pagina’s Nummer: ..
HP 125A (CB540A) Black Rebuilt tonercartridge 2500 pagina’s Vervangt..
HP 125A (CB540A, 541A, 542A, 543A) BK,C,M,Y Vervangt HP CB540 en Canon 7..
HP 125A (CB541A) Cyaan Rebuilt tonercartridge 1500 pagina’s Vervangt.. 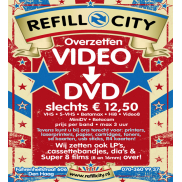 Rebuilt tonercartridge 1500 pagina’s Vervangt HP CB540 en Canon 71..
Vervangt HP CB540 en Canon 716. 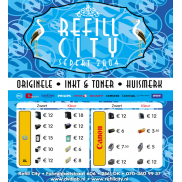 Geschikt voor HP Color Laserjet CM1312,CM1312NFI,.. Rebuilt tonercartridge 2000 pagina’s HP 131A LASERJET TONER CYAAN (CF211A) .. Rebuilt tonercartridge 2000 pagina’s HP 131A LASERJET TONER Yellow (CF212A) .. Rebuilt tonercartridge 2000 pagina’s HP 131A LASERJET TONER Magenta (CF213A)..